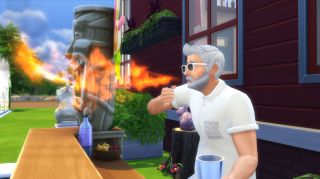 SimGuru Spotlight - Our Favorite Community Moments! Last week we celebrated the 17th Anniversary of The Sims™ and we've had a whole bunch of fun on social media with giveaways, videos & talking to all of you amazing fans. It's been great to hear all of your memories of The Sims over the years. 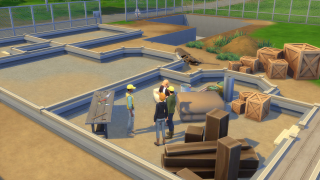 We wanted to add one final Anniversary blog to the series though, hearing from the SimGurus! We sat down with a bunch of them to find out what makes them feel really excited and proud to be part of the team, as well as identify specific moments in the community that have stood out to them the most. SimGuru Gnome - I loved the machinima that players put out during Sims 2. Music videos, shorts, etc… was one of the first ways I really saw the community having fun with our game. SimGuru Ninja - The community constantly surprises me with the life they breathe into the game. Builders make amazing creations that make my eyes water, they’re so beautiful. CAS players upload to the gallery some of the most gorgeous Sims I’ve ever seen. Storytellers constantly create interesting, compelling story lines & characters that I never would have anticipated or thought up myself. The community is able to take the content we make for them and push it in fresh, exciting, and surprising directions. The community is the ultimate wild card – I love ‘em! SimGuru Kimmi - How the way they told their Sim story through so many screenshots of visual progression is soooo cool. Like, look at that screenshot! Using a fence as part of the house “construction” fiction! SOOOO COOOOL. SimGuru Trev - One thing that amazes me about our community is how clever they are with the objects we provide to them. Whether it’s Hatsy scaling up ice cream cones to make spires on a castle or DrGluon using half walls and bakery displays to create a make-shift dining table/car for a drive-in theater, the amount of creativity blows my mind. Every. Single. Time. SimGuru Lyndsay - I've been making the Sims for a long time now and can honestly say I never cease to be amazed by what comes out of our players’ minds. The most exciting part of my job is seeing what is most exciting to them. Now we’ve covered some of the Gurus, what’s your favorite memory of playing The Sims? Come find us on Twitter, Facebook, Tumblr and Instagram, and tell us all about it.